I recently attended the GOSH SS13 launch event and as part of the goody bag was given their new Growth Serum* and Growth Mascara* to try. Both claim to increase the length of your lashes, with visible results in just two weeks. I've been using them now for the past 4 weeks and wanted to share my findings with you. The mascara and the serum both contain a growth ingredient - SymPeptide XLash - that helps increase the length and thickness of eyelashes. The serum also contains Follicisan, which gives thicker lashes and also promotes new hair growth. The serum comes in a mascara-like tube, but instead of a mascara wand, features a thin brush, which you use to apply the serum the the base of your lashes once a day. I've been doing this at night after taking my makeup off, however GOSH do say that you can apply it in the daytime over mascara. I've not experienced any stickiness with the serum, although I did get it a little to close to the inside of my eye once and trust me, I did not want to repeat that experience. I think if you have super sensitive eyes you might need to take care how you apply the serum and not slap it on in a hurry, but I've not had any issues other than that. 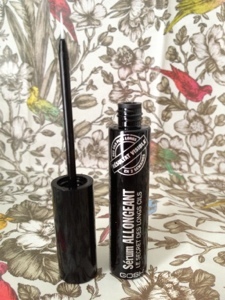 The mascara is a good volumising mascara and comes with a plastic bristled wand. Even without the growth, I've been quite impressed with this mascara on it's own. If like me you usually go for 2 coats, you'll need to do these quite quickly. The mascara dries speedily and once it does, you can end up with clumpy lashes if not careful. The brush is a little prickly too and took me a few uses to get the hang of its short and long bristles. So, the thing I'm sure you all want to know is do they work? Well, I have to be honest. YES! Over the past few weeks I've noticed my lashes getting slightly longer, and seem to be much more healthy. I haven't noticed a massive increase in volume, but the length is definitely there. 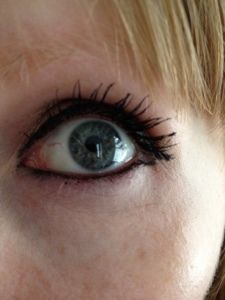 The final effect after 4 weeks - wearing the mascara. The serum is a lot cheaper than most others on the market and retails at £14.99 which I think given the fact it actually works is a bargain! 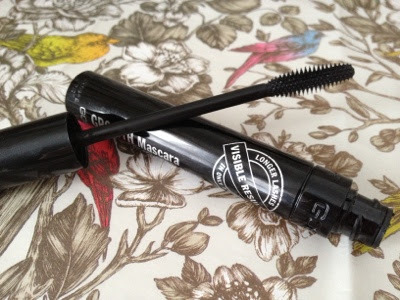 The mascara is £8.49 which is near the top end for a high street mascara, but is one of the better high street mascaras that I've tried. 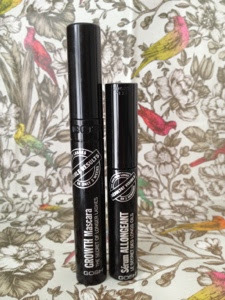 Both the serum and the mascara can be bought from Superdrug. I will definitely repurchase both of these when they run out. Have you tried any growth serums before? These sound great! I don't think they're something I'd buy for myself since my eyelashes grow really quickly anyway, but it's great that they work so well! Finally - an eyelash product that works! Def would rather spend the money growing my lashes rather than on expensive, short-term mascaras. I had been getting eyelash extensions for months but they ruined my own lashes & xlash was recommended by a friend she bought it from http://www.xlash.net/. It is amazing & really does work. I noticed a difference after about 3 weeks & my lashes have gone from stumps to fuller & thicker & i love them.